A NEW intimate production of LA CASA AZUL, The Musical debuts at The Phoenix Theatre Cultural Centre this July! Passion and Pain are transformed into creativity and beauty. 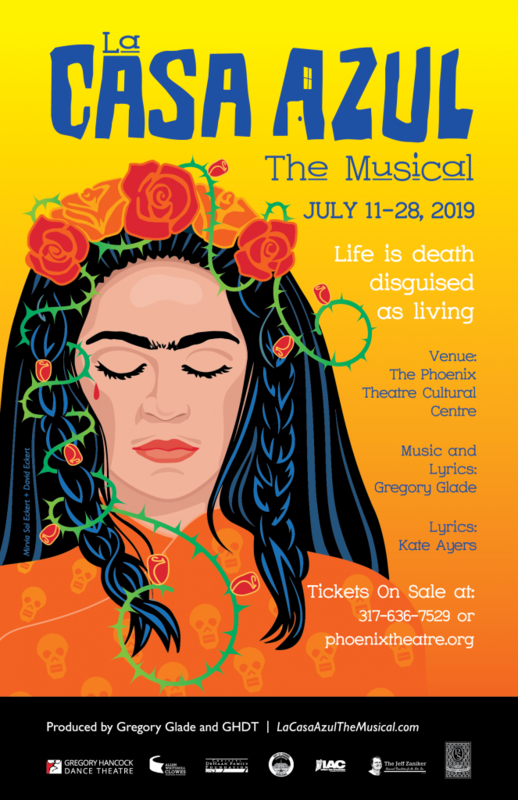 An award winning, new musical inspired by the life of Mexican artist Friday Kahlo, featuring original music and lyrics by Gregory Glade and lyrics by Kate Ayers. LA CASA AZUL speaks to us all about the strength, fragility and the power of the human spirit. LA CASA AZUL, The Musical is a must-see, theatrical event! Seating is limited. Purchase tickets early! The performances will be July 11th-28th, 2019. Thursdays-Saturdays at 7:30pm and Sundays at 3:00pm.